PMS Student Handbook 2018 -2019 is prepared to help you understand our expectations and procedures. You will find that the guidelines our students follow at Parkville Middle School make it possible for all of us to work together in a positive and safe environment. 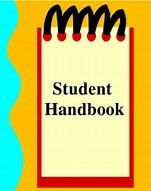 Please become familiar with the contents of your Student Handbook and refer to it as a year-long reference for you. If you have any questions about the information found in this handbook, please ask your teachers, guidance counselor, or one of the administrators.